The wife of former U.S. Rep. Lee Hamilton of Indiana died Saturday after she was run over by her own car, Bloomington, Ind., police told NBC News. Police said 82-year-old Nancy Hamilton arrived in the parking lot of a veterinary clinic with a pet Saturday around 4:15 p.m., but her car was not shifted into park. As Hamilton walked behind the vehicle to retrieve her pet from the passenger side of the car, the car rolled backward, striking and running her over. Former U.S. Rep. Lee Hamilton of Indiana testifies during a hearing in Washington, D.C., in 2006. His wife, Nancy, died Saturday. Bloomington Police Capt. Joe Qualters said Hamilton was alone at the time, and he believes the incident to be entirely accidental. Monroe County Coroner Nicole Meyer told NBC News Hamilton died from blunt force trauma to the head and suffered chest injuries. She was taken to the Indiana University Health Center in Bloomington where she died hours later. "This is so tragic," Charlotte Zietlow, former Bloomington City Council president, told the Herald-Times. "They were going to have a life together." Zietlow said she had just met with Lee and Nancy Hamilton at a party for Bloom Magazine last week. The former congressman and his wife were starting to settle into their new life in Indiana after decades of living in Columbus, Ind., and Washington, D.C., she said. Zietlow said Nancy was an avid painter and used oils and watercolors to paint landscapes and portraits of her children. 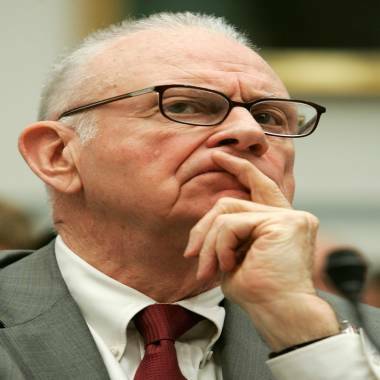 Lee Hamilton, 81, represented southern Indiana in Congress for more than 30 years and was vice chairman of the 9/11 commission. He joined Indiana University in 1999 to create its Center on Congress. He remains the center's director. Pat Williams, the former head of the Democratic Party in Monroe County, told the Herald-Times she met with the Hamiltons at the same party as Zietlow. She said she was delighted to hear they would be starting their retired life in Bloomington. The Hamiltons had three children – Tracy, Deborah and Douglas – and five grandchildren.